Chandler O’Leary shares stories and the process behind her new book, "The Best Coast: A Road Trip Atlas: Illustrated Adventures Along the West Coast’s Historic Highways." 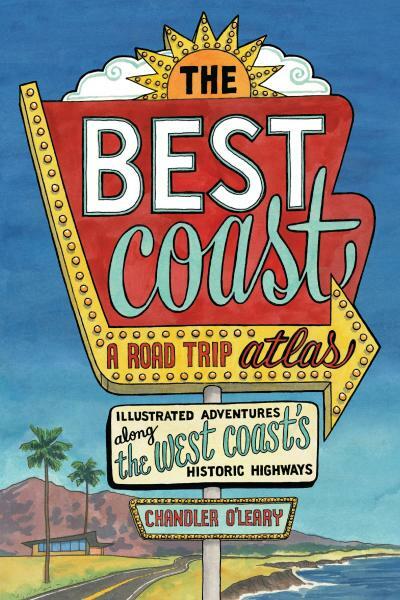 Join author-illustrator Chandler O’Leary as she shares the stories and process behind her new book, "The Best Coast: A Road Trip Atlas: Illustrated Adventures Along the West Coast’s Historic Highways." Based on a decade of sketching up and down the West Coast, she will share a behind-the-scenes look at creating an entirely illustrated travel guide. A pop-up shop will follow the event, with signed books available for sale. Chandler O’Leary is a graduate of the Rhode Island School of Design and the proprietor of a small business called Anagram Press, specializing in hand lettering and illustration. She is the author and artist of the illustrated travel blog Drawn the Road Again, and the co-author of "Dead Feminists," a winner of a 2018 Pacific Northwest Book Award. "The Best Coast" is her second book.